Musicians at VegaTrem based in Spain have created a new floating bridge specifically designed for Strat in the form of the VegaTrem VT1 Ultra Trem. Watch the video below to learn more about the unique floating bridge that does not require you to modify your guitar, or pierce/screw anything on to your instrument as it fits in the original cavity. You wanted a floating bridge that did not force you to pierce or modify your beloved ST guitar and we did it. You desired a vibrato that did not stand out more than the original bridge, and here it is. You imagined total freedom of movement and a whammy bar that never bothered and it is here. You fantasized for a tremolo free of unwanted noises and now it comes true. You wanted to get rid of the hassle of microtuners, here you have it. Welcome to the VT1 UltraTrem: the tremolo, reinvented. If you have already mounted, adjusted or simply changed strings with any of the existing tremolos in the market and you are not a handyman or aspiring luthier, you already know that it wasn’t easy at all. So we have redesigned everything so that with a simple video and a screwdriver you can mount your VT1 UltraTrem in the blink of an eye. And if when you hear the word dismount you see the Antichrist, do not worry, your luthier or your trust store will be happy: they will never have earned such easy money for doing something so simple. If you have researched out there you will know that up to today, to mount your floating bridge on an ST type guitar you should modify (when they talk about modifying they actually mean: piercing, drilling, screwing) the original cavity bridge. 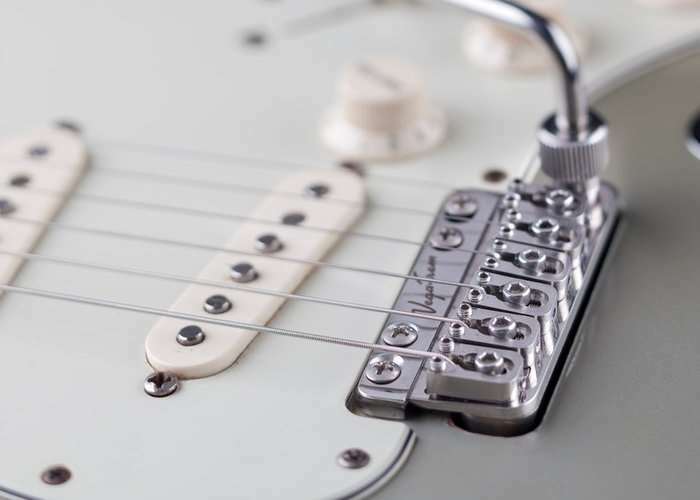 If your Stratocaster is also a classic, we are talking about practicing a real profanation. But for that we invented the VT1 UltraTrem, so that means not having to drill, sand, and enlarge or anything, since it fits perfectly in the original cavity. Jump over to the official Kickstarter campaign for more details via the link below and full list of all available pledges which start from €248, with shipping expected to take place during December 2017.